The last year has been a controversial one for The Weinstein Company which has come under fire for multiple sexual assault allegationsagainst Harvey Weinstein, and outstanding royalties to Quentin Tarantino and several actors including Brad Pitt, Jennifer Lawrence, and Jake Gyllenhaal. 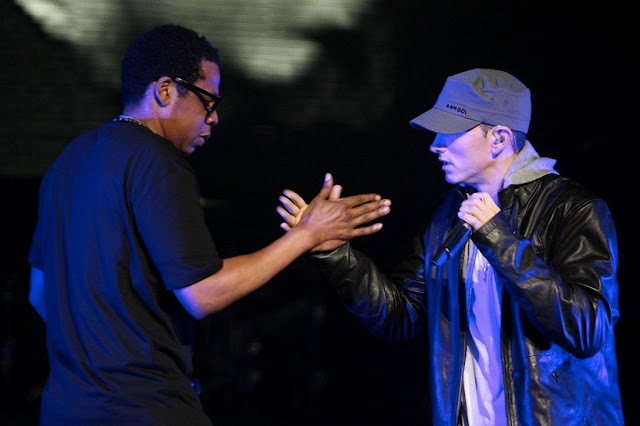 It seems that even more money is overdue to artists JAY-Z and Eminem, who have just initiated a lawsuit for $800,000 USD. JAY-Z says TWC owes him $240,000 USD for each of his contributions to TIME: The Kalief Browder Story and Rest In Power: The Trayvon Martin Story. Meanwhile, Eminem is claiming he hasn’t received the $352,000 USD owed to him for the Southpaw soundtrack. How legal proceedings will move forward is unclear, as TWC did not mention any money owed to either artist when the company filed for bankruptcy this March.